The fashionistas of the 1920s became the trendsetters for our modern-day idea of what clothing should be, and how it could change mindsets. The 1920s outfits and costumes are considered by many to be the first decade of a truly modern fashion—women cast aside their corsets in favor of looser shift dresses, and waists were dropped and made to be looser than the fashions of years past. They cut their hair into short bobs, wore cloche hats and modest heels, and exposed more of their ankles and calves than their ancestors would have been able to stomach. In the second half of the decade, many daring young women became part of the 1920’s flapper movement, donning shift dresses that fell just above the knee, keeping their hair short and sleek, wearing what was considered excessive makeup, and frequenting jazz clubs and—gasp!—dancing in public with men they did not know. A decade of such tumultuousness—let’s not forget that this was the age of Prohibition, Art Deco, jazz music, and the years leading up to the Stock Market crash—was sure to be spearheaded by a group of influential and forward-thinking fashion designers. At the center of the fashion advancements of the 1920s was, of course, Coco Chanel. 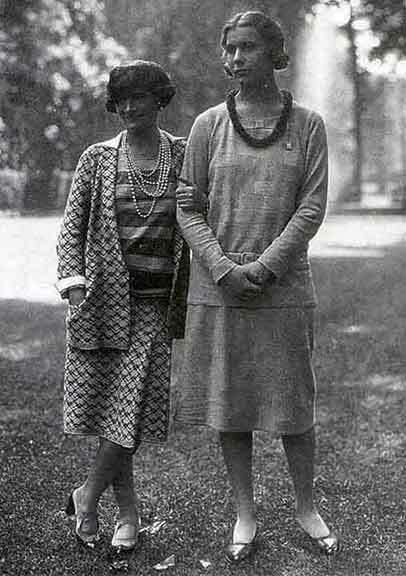 Chanel embraced the popular bobbed hairstyle of the time, and led the development of knitwear. 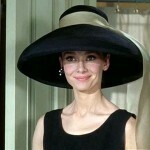 She introduced women to the little black dress, popularized costume jewelry, and designed elegant and sophisticated clothing in basic colors (navy, black, white) with undefined waists. 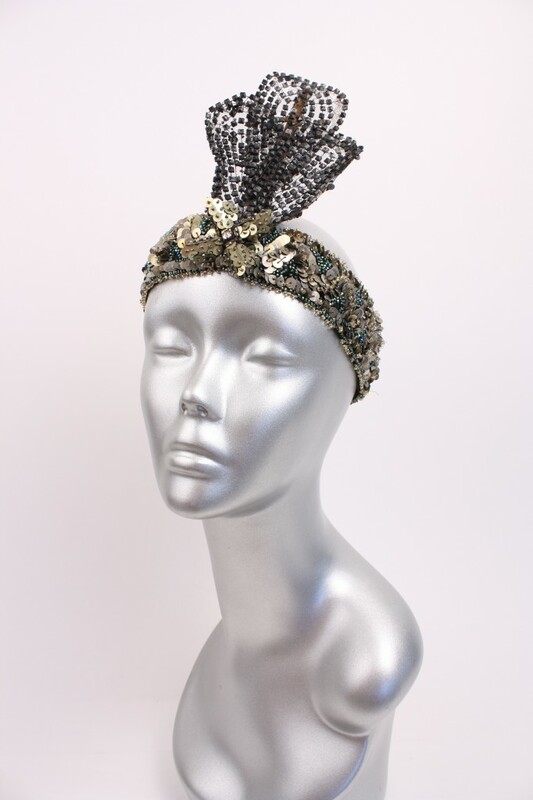 Jeanne Lanvin was another influential designer of the time; she started her career as a milliner, making clothing for her daughter that caught the eye of women in the area. They soon started asking Lanvin for copies of the designs she constructed for her daughter, and the famous designer was established. Although she had started designing several decades before, Jeanne Lanvin reached the height of her popularity in the 1920s. 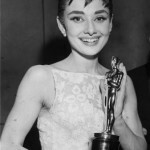 She was known for her use of embellishment, and complex trimmings and embroideries. 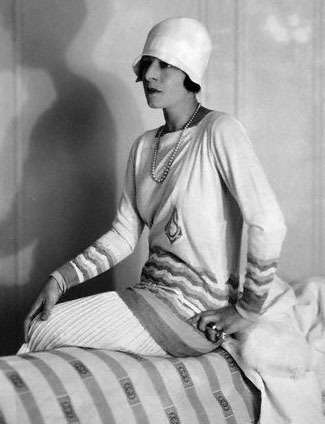 By 1925 she had delved into sportswear, furs, lingerie, menswear, and interior design. Jean Patou’s popular designs of the 1920s featured clean lines, geometric and Cubist motifs, and favored a mix of luxury and practicality in order to satisfy the new interest in outdoor life. Madeline Vionnet began her career as a seamstress at age eleven, when she started working to earn extra money for her family. She was best known in the 1920s for Grecian-style dresses, and introducing the fashion world to the bias cut (thanks, Madeline!). The fashions of the 1920s were further popularized by various film and movie stars, an occupation which was still a new phenomenon. Josephine Baker, Greta Garbo, Marlene Dietrich and many others all embodied the fashions of the decade, and were looked up to by countless women. Department stores took advantage of the changing trends in both purchasing ability (largely gone were the days of ordering new clothing by mail if you could afford it, or refashioning an older garment to keep up with the current trends) and fashion icons in the 1920s, and expanded to make their wares more widely available. Neiman Marcus experienced a high in popularity, and was able to expand and open new stores—the same can be said of Saks Fifth Avenue, who opened their famous New York City store in 1924 before expanding to Southhampton in 1928 and Chicago in 1929.